If you bought a road Maserati or a Ferrari in the fifties the chances are it would have been fitted with PIRELLI’s ground braking CINTURATO ™ CA67 tyre in the size 185VR16. 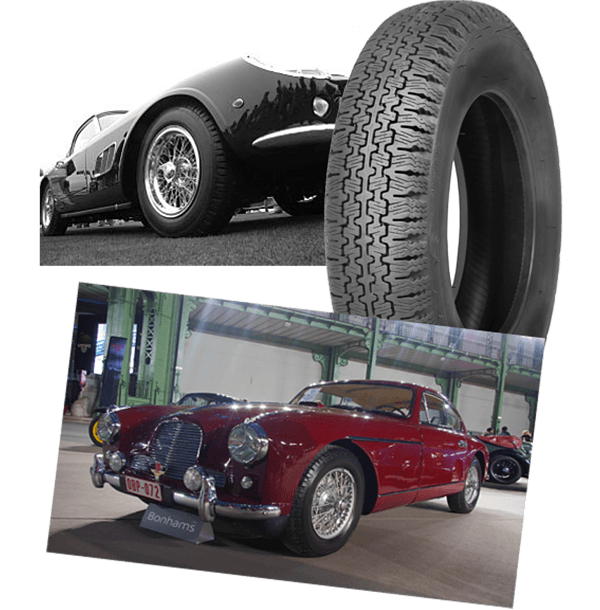 In 1952 PIRELLI’s development of the CINTURATO ™ tyre took the world of sports cars by storm. The initial motivation behind the development of radial tyres was increased longevity and grip. PIRELLI took this a step further with the development of the CINTURATO ™ tyre, by adding progressive handling to the features a radial could offer. When buying an XK150 from Jaguar; if you specified you wanted radial tyres Jaguar would fit PIRELLI’s 185VR16 CINTURATO ™ CA67 tyre. 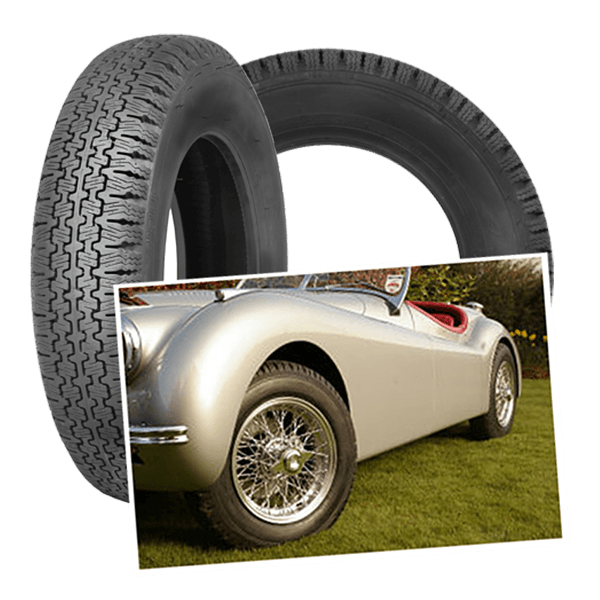 It is an excellent tyre to fit to any XK120, XK140 or XK150. Later at the end of the 60’s low profile tires were developed. The low profile version of a 185VR15 tire is a 205/70VR15. If you have a car that was developed to fit 185VR15 tires an it is now fitted with a low profile tyre you may well find, the steering heavy and vague and the handling of the car is less progressive, the answer is probably to revert back to a 185VR15 PIRELLI CA67 CINTURATO ™ tyre. If you bought an Aston Martin DB4 and told Aston you wanted radial tyres Aston would fit 185VR16 PIRELLI CINTURATO ™ CA67 tyres. It is still an excellent tyre to fit to a DB2, DB2/4, DB2 MK3, early DB4 including the DB4 GT. In the 50’s and early 60’s the majority of top notch sports cars would either fit 185VR16 CINTURATO ™ tyres, or a cross ply 6.00-16. 185VR16 is the radial equivalent of a 600.16 cross ply. These 185VR16 CINTURATO ™ tyres would be used as road tyres and it wouldn’t be out of the question to see cars like 250F Maserati’s using them on the race track. This was the tyre to have, (and still is today).